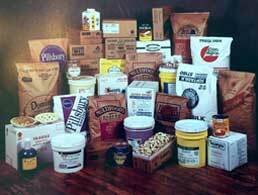 “My great-grandfather, Jake Lentz, started this business as a flour mill over 75 years ago in Leesport, Pennsylvania. He was joined by his two sons, Henry (my grandfather) and Mark (my great-uncle) and they set about milling soft winter wheat grown in the eastern Pennsylvania region. 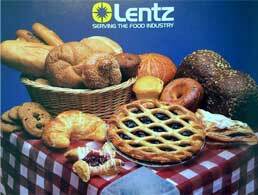 Soon after starting Lentz Milling Company, the United States entered World War II. Like many American families at that time, the Lentz’s made sacrifices to support the war effort. Mark joined the Army and, soon thereafter, the U.S. government requisitioned the new diesel generator that Jake had ordered for the mill. Left with no reliable way to power the equipment and mill flour, Jacob and Henry made the fateful decision to use the check they received from the government to buy the only truck they could find, a used 1936 International Harvester flat bed pictured above. They became, out of necessity, a wholesale distributor of flour sourced from other local Pennsylvania mills. Our original service territory was central Pennsylvania, Philadelphia and the Coal Region of northeast Pennsylvania, serviced by the single truck driven by Henry. After the war ended in 1945, our family decided not to reopen the mill but instead focus on growing the distribution business. 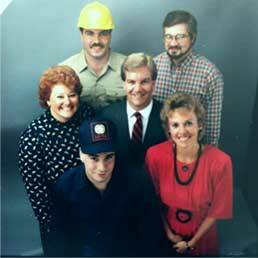 The decades following the war proved the wisdom of that decision as we continued to grow our distribution footprint and build our reputation for providing reliable, personal service to our customers. By 1969, we outgrew our original Leesport mill location and moved to nearby Reading, Pennsylvania, where we remain today. Not only was the Reading facility significantly larger, it also had a rail siding, which allowed us to cost-effectively source flour from the best mills in the country. Henry had assumed leadership of the company by the time of the move, assisted by his two sons Ed and Jim and his brother Mark. 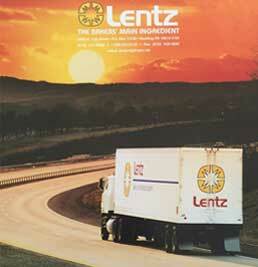 Lentz Milling continued to grow in the 1980s and 1990s under the leadership of my father (Ed) and uncle (Jim), adding new sales territories and product lines, building a freezer and purchasing refrigerated trailers, and implementing computer systems that enabled the company and its dedicated employees to operate efficiently and effectively while providing creative solutions to meet our customer's challenges. 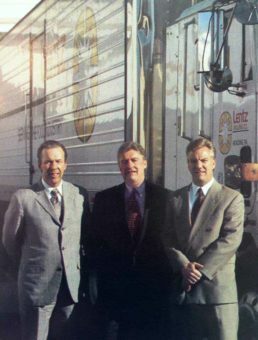 In 2005, I became the fourth generation of the Lentz family to lead the company. 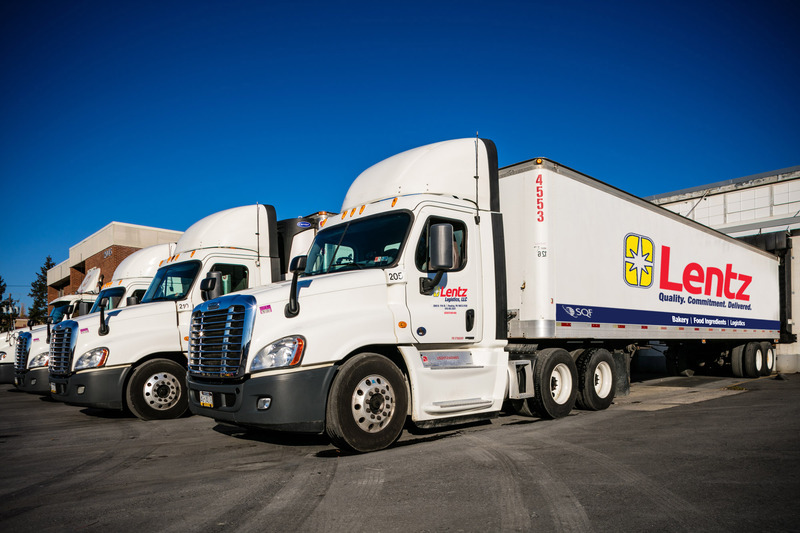 We have continued to expand our service area and now serve ten states (and the District of Columbia) in the mid-Atlantic region from our Reading distribution center. Behind the scenes, we have made significant investments in upgrading our IT infrastructure, developing business continuity plans, and creating new organizational positions to ensure that we will continue to be the leader in service reliability and customer service excellence. 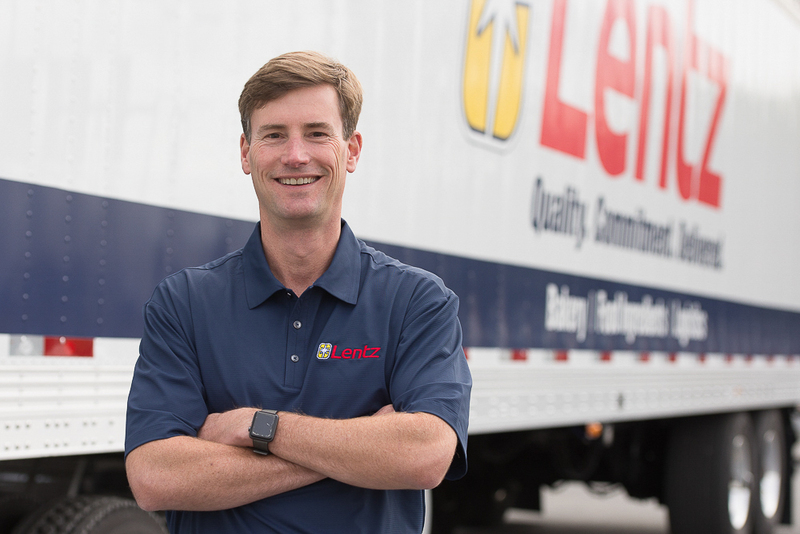 In 2013, we formed our Lentz Logistics subsidiary to provide food-grade logistics services to other companies and, in March 2016, Lentz became SQF Level II certified, one of only 275 distributors to attain the Safe Quality Food Level II ranking. In June 2017, we launched this new website accompanied by a re-branding campaign featuring an updated logo and tagline "Quality. Commitment. Delivered" to better fit our mission and overall capabilities. In 2018, we formed a relationship with JM Swank to provide our customers access to a broader range of food ingredients. Thank you for visiting our site and we look forward to the opportunity to work with your company."